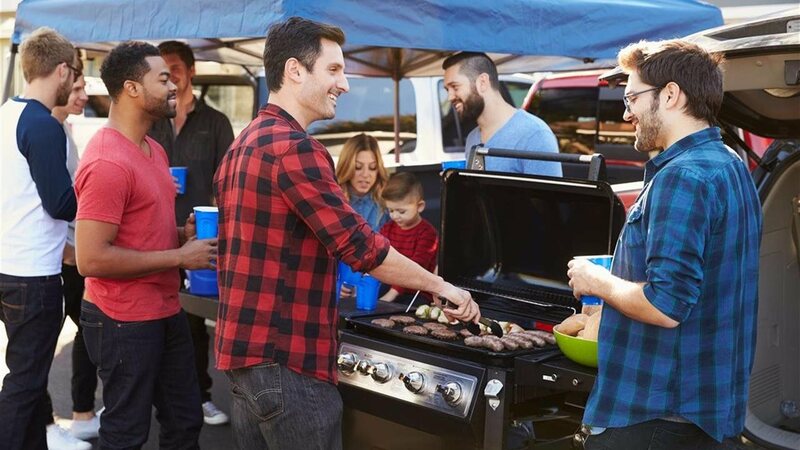 An offensive line — of vehicles: A big tailgate party does not require a big vehicle: While a hatchback or pickup truck is a plus, most important is to have wheels that can deliver the goods. One fresh take is for tailgaters to team up with a caravan of cars for a multi-stationed tailgate. Put in the QB of TVs: A TV is vital for the tailgating entertainment. There are many options for outdoor TVs that provide for great pictures even in the sun’s glare and in extreme temperatures. Be sure to test out the picture in advance so it is ready to go come kick-off. Linebacker-like power: The most critical factor of all in making a powered-up tailgate is the power source itself. That’s where a generator like the Powerhorse Portable Inverter Generator from Northern Tool + Equipment comes in.